Our social responsibility efforts focus on our employees, customers and our local communities. We engage with customers to create relevant and innovative products. Across our operations, we focus on the safety, well-being and expertise of our employees, and we routinely work to connect and contribute in our local communities. We have established a global goal of zero workplace incidents consistent with “Project Zero” and our overall safety program. In 2016 the Lost Time Incident Frequency Rate (LTIFR) was 0.69, which is higher than our 2014 benchmark. Unfortunately, multiple incidents have occurred at both the Westbrook and Somerset mills. The Technology Center, Boston office and South Portland office, however, all had zero LTIFR, and the Cloquet Mill continues to demonstrate outstanding performance, ending the year with an LTIFR of 0.13. Cloquet employees surpassed One Million Work Hours Without a Lost Time Injury twice in the fiscal year. A redoubled focus on increasing awareness through daily safety communications is ongoing. Critical safe behaviors have been defined with front-line leaders providing observations and corrective feedback. At Somerset, union and management leadership are meeting regularly and working collaboratively to drive safety improvements. We have revisited our Cardinal Safety Rules and emphasized incident reporting and early treatment with the objective of severity reduction. Regular meetings are taking place with involvement of senior mill leadership across each area of operations. In addition, the new employee safety orientation has been streamlined and updated to include the SafeStart skill building program for all employees. In response to the results of a comprehensive employee engagement survey in 2015, the company has undertaken a number of initiatives, including the launching of a peer recognition program and a number of mill-specific projects to increase employee engagement at the hourly level, including supervisor training, an on-line learning platform and an enhanced on-boarding process. In just three quarters of 2016, employees delivered over 2,000 TOUTS recognizing, appreciating, honoring and thanking their colleagues. An additional benefit is that the manager of both the employee originating the TOUT and receiving the TOUT get notified and will often offer additional messages in person or via email. With that additional layer, employee recognition has increased significantly. As a global company operating in many countries and jurisdictions, it is essential that we conduct Sappi business in a coherent, consistent and, most importantly, ethical way. In line with our 2020Vision strategy and with our commitment to being a responsible corporate citizen, we have updated our Code of Ethics. The updated Code launched in the summer of 2016. The principles and behaviors discussed in the Code of Ethics are supported by relevant examples, making it easier to understand than ever before. The Code is central to our success and reputation. 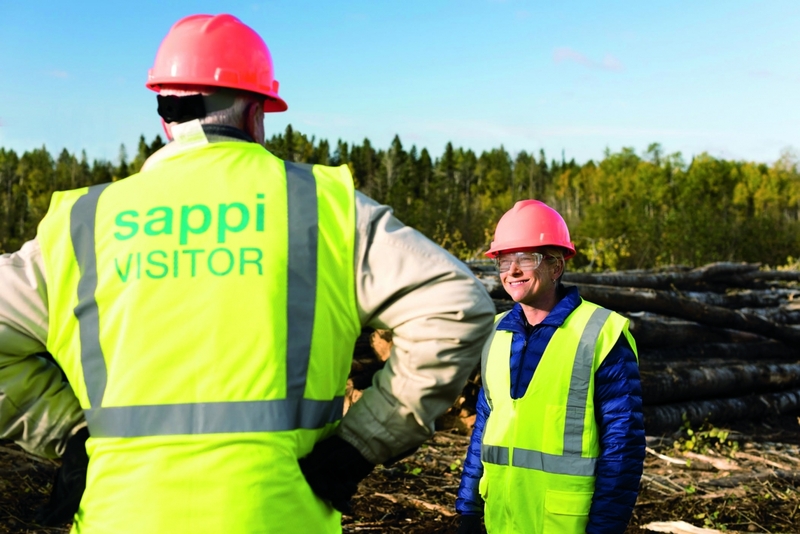 Meeting our goal of growing Sappi into a more profitable, diversified wood-fiber group depends on our ongoing commitment to responsible business principles across the group. The principles embodied in the Code apply to all our stakeholders, from members of the board to our suppliers. Each day we encourage employees to live our core values of doing business with integrity and courage and making smart decisions, which we execute with speed. The Code of Ethics is also made available in a variety of languages and is available online at sappi.com/sappi-code-of-ethics. 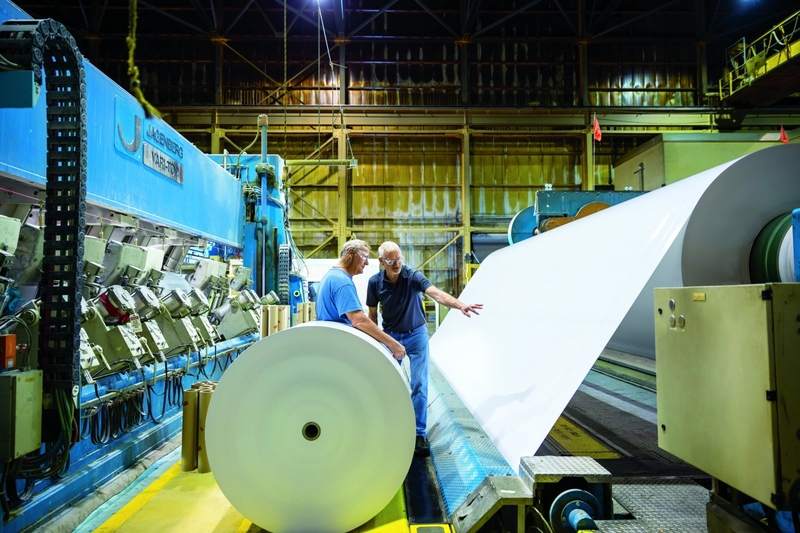 The Sustainability Customer Council is made up of eight Sappi customers, representing key customer segments of the coated business, printers, publishers, corporate paper buyers and graphic designers along with representatives from our release papers and packaging businesses. In semiannual meetings, the Council provides valuable input on emerging issues and weighs in on how customer needs may impact collaborative efforts and our sustainability communications plan. In 2017 we will be seeking customer representation from the dissolving wood pulp business. Kathy Fernstrom, Key Accounts Manager in our Publishing Sales Group, chairs the Council.